Zombie Films: Has George Romero lost his Bite? 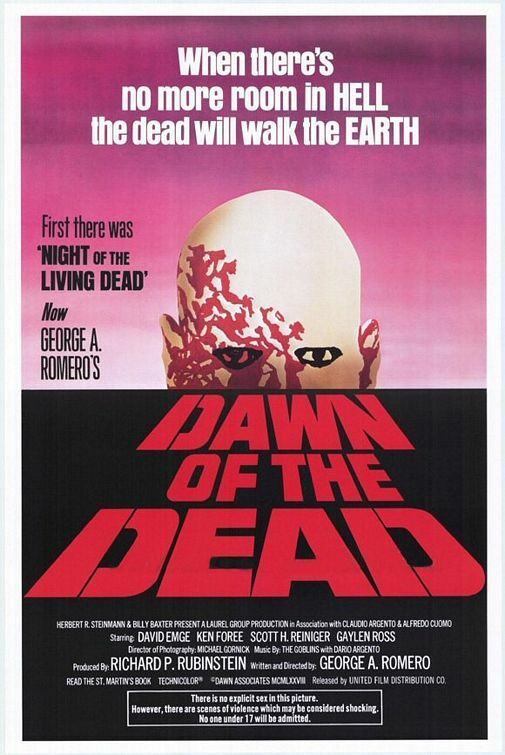 I have always been a fan of George Romero…ever since I was old enough to see his zombie masterpiece, DAWN OF THE DEAD (1979). After viewing both NIGHT OF THE LIVING DEAD (1968) and DAWN on videocassette I actively sought out other movies by the master of horror. Films like MARTIN (1976), THE CRAZIES (1975) and of course CREEPSHOW (1982) and DAY OF THE DEAD (1985) were always a lot of fun to me. 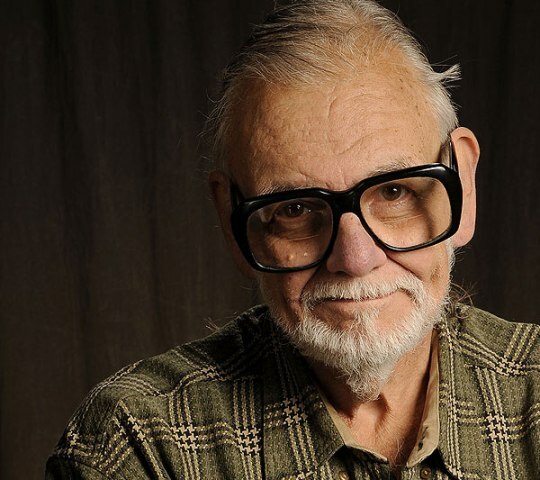 George Romero has always been a great film maker and an even better storyteller which is why he has such a legion of dedicated fans, myself included. He has perfected making a great film on a budget, in part because his stories are so compelling. Even though his films feature zombies, wannabe vampires, crate beasts and crazy people, the heart of his movies are with the characters that have to deal with these terrors. 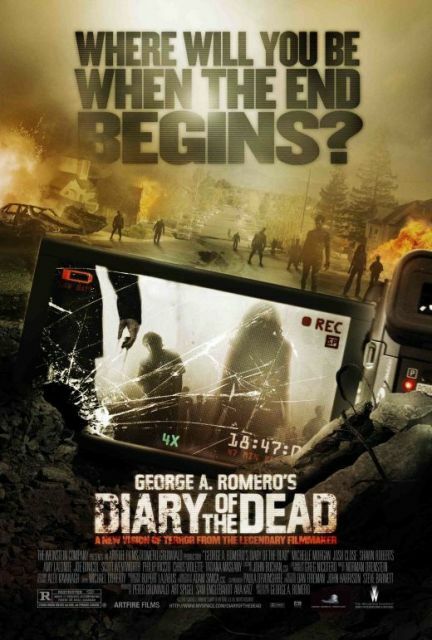 In 2003, when word came out that Romero was doing another zombie film I got excited, hoping to finally see one of his movies on the big screen. 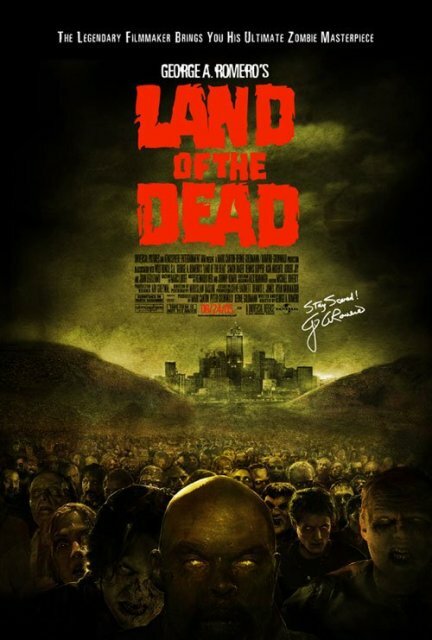 Though I loved LAND OF THE DEAD (2005) I never had the chance to see it in the theater. My excitement started to dwindle though upon finding out that DIARY OF THE DEAD (2007) was going direct to DVD (similar to how movies in the 80’s that were not good enough for a theatrical release would go direct to video). When DIARY came out on DVD I immediately bought a copy and watched it that night. After the film was over all I could think about was how I wanted that 90 minutes of my life back as well as the $20 that I had spent on the DVD. Though the concept was interesting (survivors of the zombie holocaust documenting everything on video, similar to THE BLAIR WITCH PROJECT from 1999), the story and presentation was far from interesting. Because the movie was filmed on videotape it gave the whole production a very amateurish look, even though that is what they wanted. I would’ve been fine with that if the actors and actresses had been good and if the special effects didn’t look so cheesy. The zombie makeups are a huge step down from the designs of Tom Savini or KNB EFX Group from the previous dead films. The mandatory gunshots to the head to kill the zombies also looked horrible because they were all done with CGI (CGI on a budget for that matter) and it doesn’t transfer well to videotape. 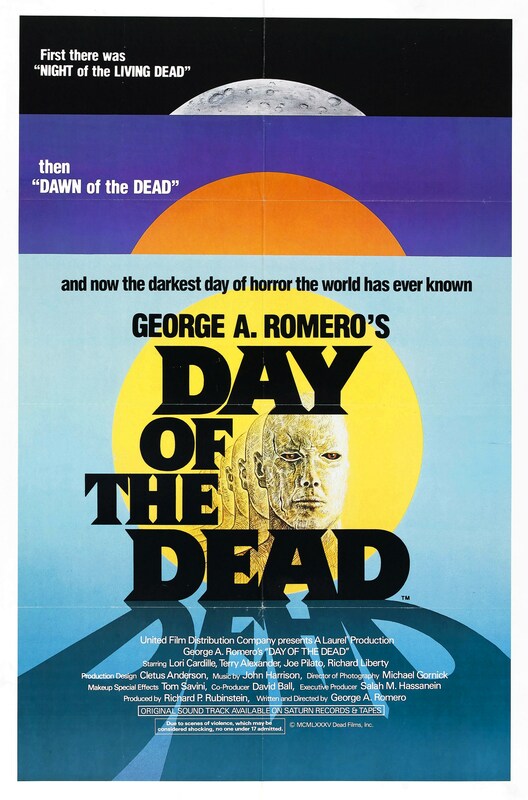 This movie was such a disappointment that I began to wonder if perhaps Romero had lost his touch. 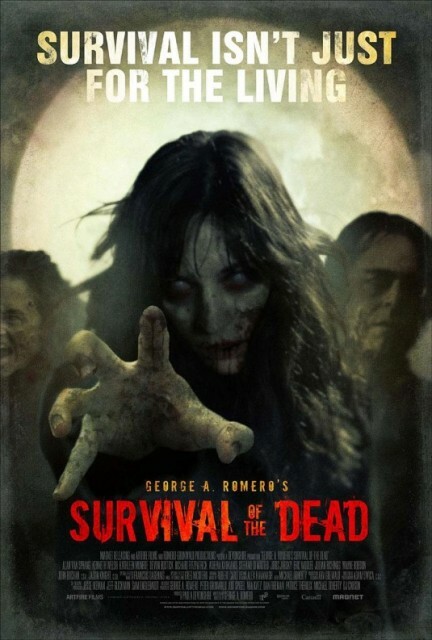 Years later I experienced a sense of deja-vu at the announcement of George Romero making yet another dead movie, to be called SURVIVAL OF THE DEAD (2010). To be honest, I did not have high hopes for this film. Initial reports from people who saw it were not promising. Reviews compared it to DIARY in how bad it was and I was quickly losing hope…it seemed as though the guy who created the whole flesh-eating zombie genre was also going to bury it. Even friends of mine who saw it said to not waste my time. One thing I did know was that I was not going to spend another $20 so I did the next best thing, I rented it on Netflix. Something else that didn’t make it look promising was how quickly I received this movie…most new releases have at least a short wait! After great trepidation I grabbed a six pack of beer and put the movie in, figuring it was going to need all of the help it could get. Maybe it was because I didn’t have any expectations for this film but I actually enjoyed it! 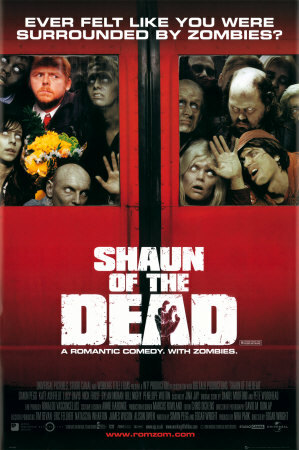 It is far from a great movie but it is still a fun zombie movie and it is certainly better than DIARY OF THE DEAD. Back was decent storytelling. Back was some decent gore effects. 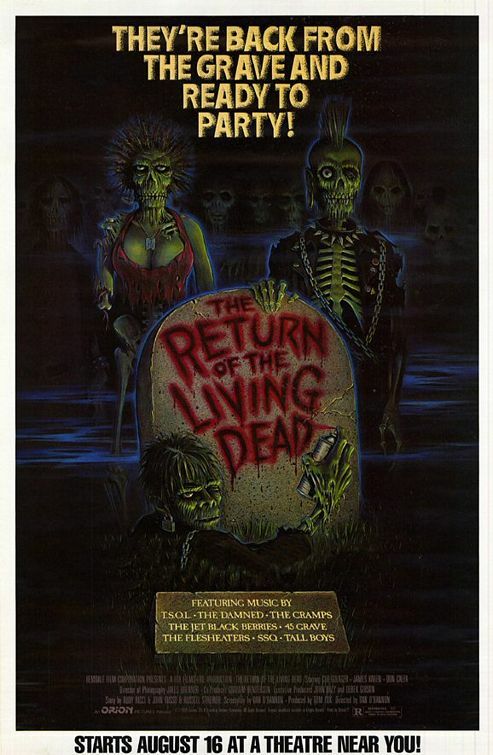 Back was interesting characters (by actors who could act) dealing with the undead. 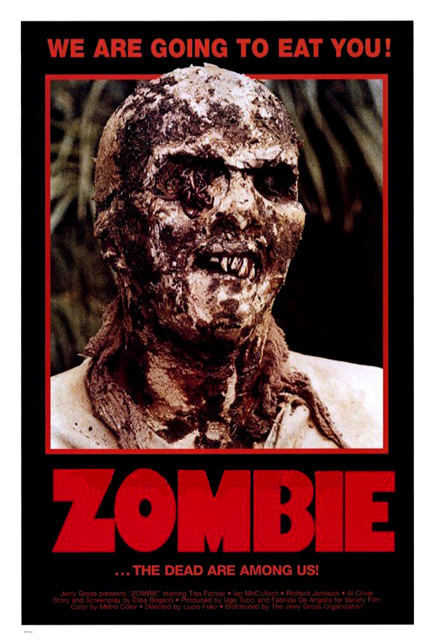 Now don’t get me wrong, this movie is far from perfect and it would never make my top 10 list of alltime best zombie movies but it is still worth a shot, and it doesn’t deserve all of the negative press it has received. Once again CGI effects are employed for most of the gunshot to the head scenes (but it transfers better to film than to video so actually works in most cases). I was also glad to see that some of the gore effects were done the old fashioned way! 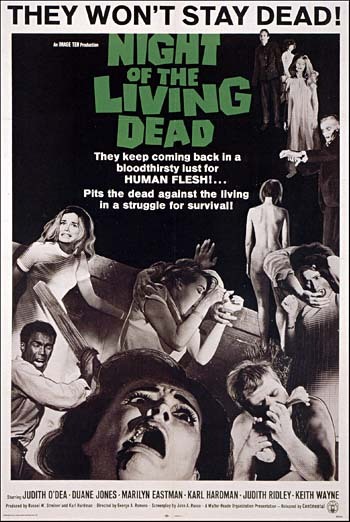 This film takes place six days after the initial zombie outbreak (would this be right after NIGHT OF THE LIVING DEAD?). Personally I would’ve preferred it taking place after LAND OF THE DEAD so that we could see zombies in more advanced stages of decay (though I am sure it was done this way for budgetry reasons). It certainly costs alot less to make up people to look recently deceased as opposed to people who have been walking around dead for awhile, decomposing. I also think the zombie makeups in most cases are very poorly executed (I have actually seen better zombie makeups at Halloween haunted houses) which is a real shame because Romero’s zombie films are known for not only their over-the-top gore but also for their amazing zombie makeups. The story itself deals with two fueding Irish families, the O’Flynns and the Muldoons (sort of a modern day Hatfields and McCoys) who have opposing views on the zombie holocaust. One side feels that the zombies should be destroyed at all costs while the other side feels there is hope to find a cure, bringing their undead relatives back to their human state. There is also a third group of people…the military (or former military as there has been a total breakdown of society) who just want to find someplace safe. The movie does tend to be a bit talky at times but it is essential to the plot and character development and when the the final battle between all 3 groups and the undead happens it does make for some bloody fun viewing. There were also two scenes that initially bothered me…a male zombie driving a car and a female riding a horse. In DAY OF THE DEAD the character of Dr. Ted Fisher (played by Romero regular John Amplas) mentions seeing one trying to drive a car. Since the undead are basically us, it does make sense that they would try to do things that are familiar to them and this scene is basically just a continuation of something established earlier in the series. As far as the horse riding goes, my initial thought was that the undead would not have the dexterity to actually ride a horse. 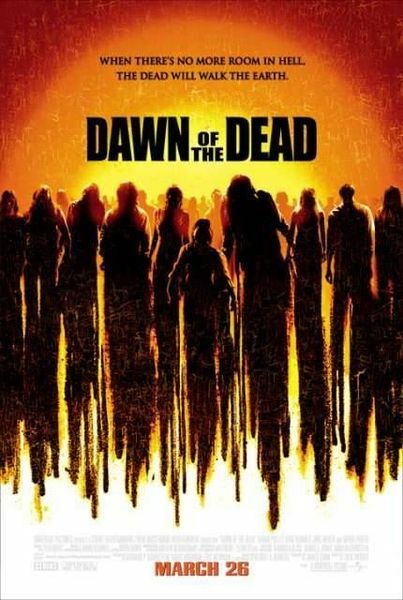 After thinking about this though, I realized that the undead actually do have alot of dexterity, especially when it comes to ripping victims limb from limb (shown beautifully in both DAWN OF THE DAY and DAY OF THE DEAD) so horse riding, especially with a recently changed person, is probably quite possible. To me the dead series will always be a trilogy (NIGHT, DAWN and DAY) but LAND and SURVIVAL are definite highlights in the zombie movie genre. Go into SURVIVAL like I did, with little or no expectations, and you will enjoy it. Give it a shot (and alcohol will help). 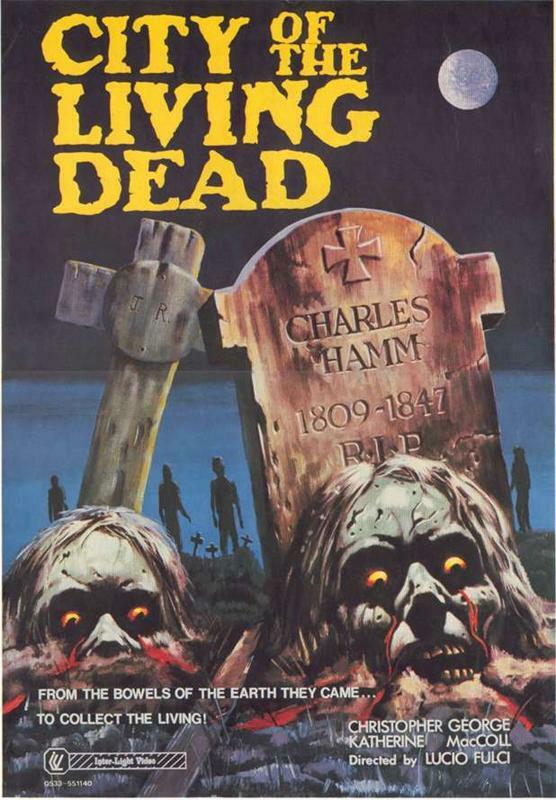 Now before anyone comes down on me for not including THE EVIL DEAD movies, my list only consists of movies about Romero-type flesh eating zombies (whereas the dead in the EVIL DEAD movies are basically people possessed by demons and they do not eat the flesh of humans). This entry was posted in Misc Mayhem and tagged Chidren Shouldn't Play with Dead Things, City of the Living Dead, Creepshow, DAWN OF THE DEAD, Day of the Dead, Diary of the Dead, George Romero, Martin, NIGHT OF THE LIVING DEAD, RETURN OF THE LIVING DEAD, SHAUN OF THE DEAD, Survival of the Dead, The Crazies, THE EVIL DEAD, Tombs of the Blind Dead. Bookmark the permalink. Great article, Dave A! 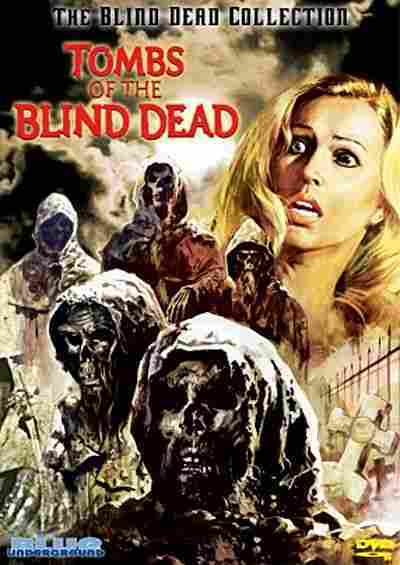 My Top 3 would be #1 – the original DAWN OF THE DEAD, #2 – Fulci’s ZOMBIE, and #3 – THE BEYOND. I thought the new movie was okay but was less impressed with the SPFX than you were. Zombies need never use “digital” effects. Good old fashioned make-up and dyed corn syrup always work best and really added to my Top 3. When people shot the heads off of the zombies in SURVIVAL OF THE DEAD I thought I was watching my son play a video game. But, you’re right, it sure beat DIARY. Oh yeah I forgot about THE BEYOND. I still stick by my list though. As far as the special effects go, I was only impressed because it was a step up from DIARY OF THE DEAD but they are in no way comparable to anything seen previously. Even LAND OF THE DEAD relied on alot of CGI but at least many of the scenes were dark and it masked it somewhat. 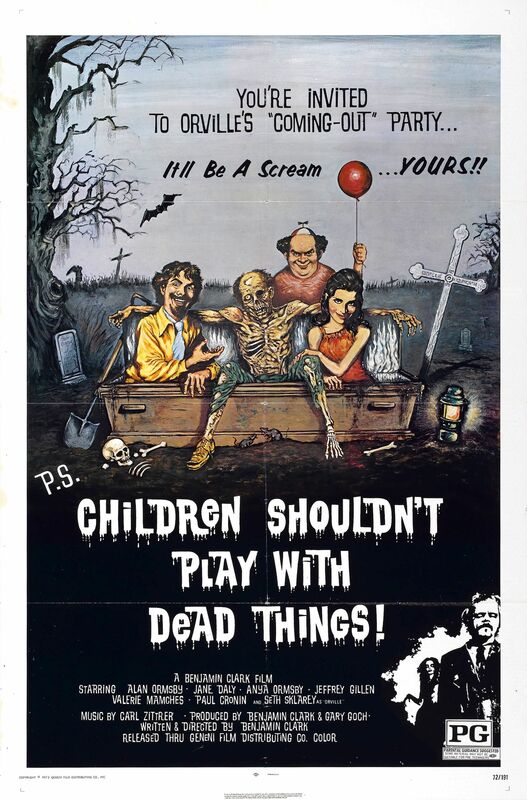 I’ve always wondered why Bob Clark’s classic “Children Shouldn’t Play With Dead Things” doesn’t make more list! Also surprised the “Let Sleeping Corpses Lie” didn’t make yours!